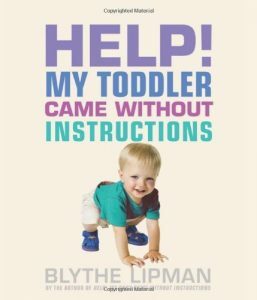 Blythe Lipman, Baby and Toddler Expert Welcomes Great Guests Each Week To Help Make Your Parenting Adventure Easier. Blythe will also share the latest parenting news,tips from her own books and the newest recalls. You did it! You're the proud owner of an adorable, soft, cuddly, sweet-smelling, smiling, cooing, HUNGRY, TIRED,GASSY, SCREAMING little bundle of joy!! What do I do now? Where are the instructions? That adorable soft, cuddly,sweet-smelling, little bundle of joy is now a walking, talking full-fledged toddler whose favorite word is "NO!" What do I do now? Where are the instructions? Blythe and her guest experts will provide instructions to make those first years a breeze!! How to get your baby to stop crying. How to get your baby or toddler to go to sleep and stay asleep, so you can too! How to stop your toddler's temper tantrums. How to pick the perfect preschool. How to keep your marriage fun and alive when you have little ones. And a myriad of other topics all parents need to know! 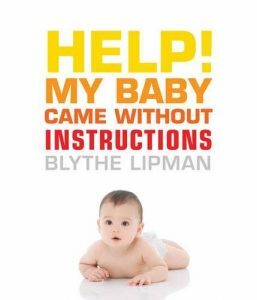 Blythe Lipman, an author, publisher, teacher, caregiver, consultant, keynote, blogger and baby and toddler expert. Blythe is the owner and CEO of Baby Instructions in Scottsdale, Arizona. She is the award-winning author of Help! My Baby Came Without Instructions, More...Help! My Baby Came Without Instructions, which are pediatrician- approved, mom and dad tested! She is currently working on Help! My Toddler Came Without Instructions as well as co-authoring Help! My Aging Parents Came Without Instructions. Blythe has 25+ years of experience in the field and cared for over 1000 babies. She has helped new and expectant parents gain the confidence they need to enjoy and care for their little miracles. She has designed, set-up and run preschool infant rooms throughout the country providing turn-key operations. Those including teacher hiring and training, room set-up, health department consultations, as well as writing the parent booklets and training manuals. Blythe lives in Scottsdale, Arizona and is the proud mom of Lindsay and Andrew and her three doggie children, Lucy, Desi and Lenny. If you would like to be a guest on Baby and Toddler Instructions | My Best Parenting Advice, please contact me at: https://mybestparentingadvice.com/contact or call +1 (480) 510-1453. 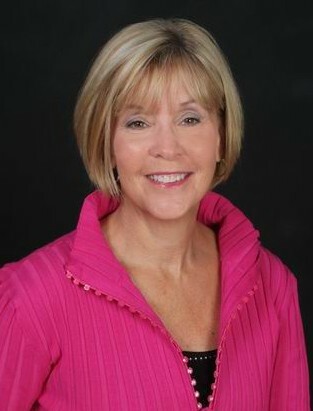 Connie Gruning from PeanutButterandWhine will be telling us "What's Hot and What's Hot" in December. Jesse Fortin will be talking about the holidays, looking and feeling your best, choosing the perfect hair stylist and colorist and so much more. My name is Jesse Fortin I've been a hairstylist and hair color specialist for close to 16 years I also am an educator for Goldwell professional haircare for the past 10 years. My mission in beauty is to provide not only the best service I can but also to build loyal friendships with all I have the pleasure serving. My specialty is in haircolor from brunette to platinum blonde I do it all but most enjoy a challenge of fixing ones color that may not have been done right the first time. When I'm not behind the chair or conducting a class you will find me out at the stables spending time with my horse Sir Arthur and enjoying my second passion and love for horses. Host Blythe Lipman Welcomes Mom and Author, Devorah Blachor. She will be sharing tips from her book, "The Feminist's Guide to Raising a Little Princess." How to raise a girl who's authentic, joyful and fearless, even if she refuses to wear anything but a pink tutu! Devorah Blachor is a New York Times Motherlode columnist and also writes for The Huffington Post, McSweeney's, The Hairpin, Redbook, Mommyish, Good Housekeeping, and The Rumpus, among other websites and magazines. Blachor's husband Matt Rees is an award-winning journalist and novelist. Their children Cai and Mari provide endless material for humor and essays. 11-08-17 Are You Nuts? Esthetician, Cynthia Boggs Will Tell You All About It! Blythe Lipman, host of Baby and Toddler Instructions will be talking with Esthetician, Cynthia Boggs about the benefits of nut, legumes, pumpkin and works miracles on your skin . She will also share her favorite parenting hacks to help you get through cold and flu season with your little one's. Cynthia Boggs Skin Care Salon is located at Desert Ridge Marketplace in the Beauty District. For over 37 years Cynthia has cared for her clients skin using many natural and locally sourced plants and oils. Connie Gruning will be sharing her latest give-aways from PeanutButterandWhine.com as well as telling us "What's Hot and What's Not" in November." It can be so frightening if your child needs to go to the hospital. My guest, Christopher Brown, is a Certified Life Specialist at Phoenix Children's Hospital. He will share his expertise to make your little one's hospital visit easier. And help you to relax too! Christopher is amazing! Christopher Brown, MA, MFT, CCLS is a Certified Child Life Specialist at Phoenix Children’s Hospital with 20 years of experience working with Children and Families. Christopher has worked as a Counselor, Classroom Teacher, Marriage and Family Therapist in the state of California, and for the past 5 years has practiced Child Life at both Cardon’s and Phoenix Children’s Hospital in the PICU, Oncology, Emergency Department, and Perioperative settings. Child Life Specialists educate children and family members on medical procedures, support families during those procedures, and offer play to children in the hospital setting to help with coping in the hospital environment. His graduate work was in the field of Counseling Psychology in which he specialized in the areas of Child Development, Play Therapy, Individual, Marital, and Family Therapy. Blythe Lipman, Host of Baby and Toddler Instructions Welcomes Guest, Adam M. Brooks, Certified Financial Planner. Adam will be talking about planning for your family's daily living and your financial future. The do's and don't when dealing with money, including allowances, jobs and so much more. 11-08-2017 Baby and Toddler Instructions Welcomes Esthetician, Cynthia Boggs - Are You Nuts! 10-18-2017 Baby and Toddler Instructions Welcomes Emma Johnson, Mom and Author of "The Kickass Single Mom"
IS YOUR BABY USER-FRIENDLY? DO YOU NEED SOME HELP? "Help! My Toddler Came Without Instructions"
Turning off those tears, including yours. Getting baby to go to sleep and stay asleep. How to stay sane and keep your marriage fun and alive. Hundreds of tips make those first four years easier. Don't forget to visit my websites for lots of great parenting information. If you need experienced Parenting Advice schedule a Parenting Consultation or call directly. I can help! Call 480-510-1453 or schedule online. If you are interested in becoming a guest on the Baby and Toddler Instructions Podcast, please read more at My Best Parenting Advice on the Become a Guest Page. Blythe Lipman, Author, Founder of My Best Parenting Advice, and host of Baby and Toddler Instructions Podcast on Toginet. I'm here to help! Can't get your baby to sleep? Is she cranky a lot and what do those cries mean? Call Blythe. We can go over all the instructions you need to make each day with your precious little bundle, happy and fun! As well, you receive a signed copy of "Help! My Baby Came Without Instructions" with your 1st Consultation! Blythe is available for Private Skype telephone Parenting consultations as well as local Consultations to AZ. To schedule a Parenting Consultation, email through the SSL secured My Best Parenting Advice Contact Form or call her office: 480-510-1453.